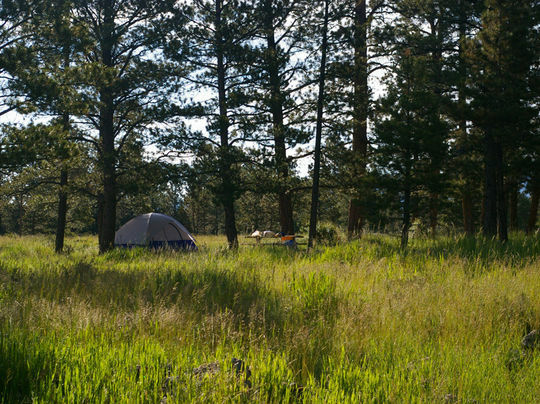 Greens Lake Campground lies on the shores of its namesake along Red Canyon Road at 7,400 feet elevation. About a mile away is the dramatic overlook of the red canyon cliffs of Flaming Gorge. 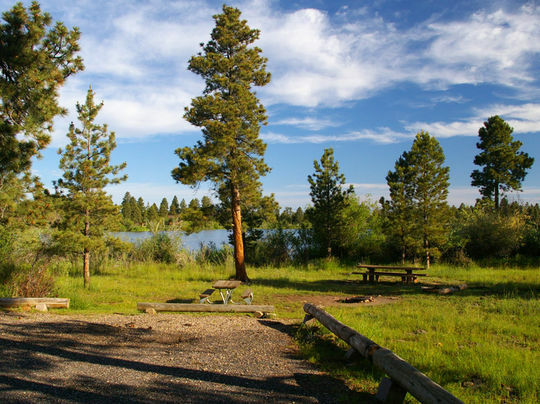 Red Canyon Rim Trail, for hiking and biking, begins at the visitor center across the lake. Greens Lake is a small lake for non-motorized watercraft only. Campers enjoy canoeing and fishing for rainbow and brook trout.